As I was watching the coverage of the Boston Marathon bombing on Monday, they kept playing the footage they had of the first explosion over and over and over. At some point I noticed that a small bouquet of yellow balloons rises into the air seconds after the smoke erupts - did you see that? 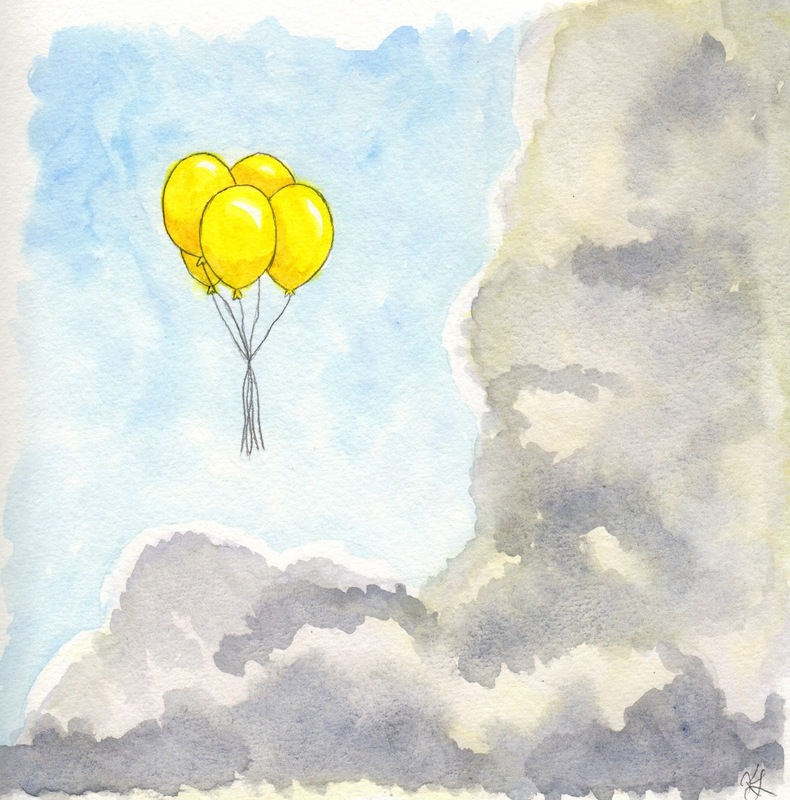 It was an image that stayed with me, so I did a watercolor painting of it. Such a senseless act. I've only ever been a spectator at marathons but they are such a warm and, for lack of a better word, triumphant place. Hundreds or thousands of people run past you, mostly strangers, and you cheer and you cheer and you cheer. It's such an obvious testament to the human spirit, pushing through pain and distance to finish your race. Maybe that's what the balloons make me think of.